I have been trying to get this one. 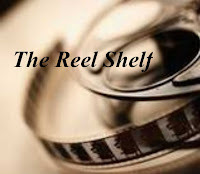 I have read so many great reviews. I have heard the same complaint that the pacing is a bit slow but otherwise this is a fantastic read. I love all the genres you placed this one into so I am certain it will be a good read and I am a huge fan of detailed world building. So excited to read this one! I love fantasy (especially when it involves political intrigue) so I was already planning on reading this one; but your review of Seraphina has convinced me to read it next, Rummanah. I don't mind a slow beginning with fantasies because it's often due to worldbuilding, and it sounds like once the world is firmly established, things pick up. Months ago, when my co-blogger Lisa read this and gave it three stars, I had decided that it's not for me, but after your review and another one I read recently, I now can't wait to get my copy. 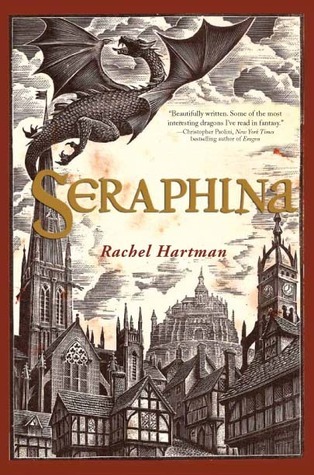 Seraphina sounds like a truly admirable character, so easy to relate to, and the world so detailed and well thought out. This is the most compelling review of this novel I have read and convinces me to read it. I have a hard time with high fantasy as well. It depends on how high the fantasy is, but I have never attempted Lord of the Rings. I'm afraid I would have to read it a hundred times before I could understand it. And the movie, I'd be totally lost. I need it grounded somewhat in real life. I can handle dragons though. And the slow world building, for me would come in handy in a fantasy novel. You've convinced me Rummanah! I feel the same as you about high fantasy, so I often avoid it, but everyone has been reading this one and now I'm intensely curious, especially since I've been waiting to read more about dragons. Glad to know the secondary characters worked just was well, and made an impact. I might have to give this one a try, but I'll be honest and say, I'm not looking forward to the slow beginning.